Looking for the best leather soccer shoes? 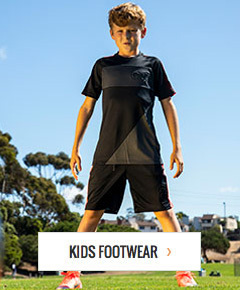 soccerloco carries a wide variety of shoes designed to be soft, light and require almost no break in time. They form quickly to the shape of your foot making the preferred shoe for many high performing soccer players around the world. It’s time to own a pair of some of the best shoes the industry has to offer. soccerloco carries all the top name brands such as Nike, Adidas and Puma. Browse through our selection to find the perfect shoe to fit your individual needs and styles. We offer shoppers some of the lowest prices available online and hassle-free returns that help make sure you find exactly what you’re looking for. Shop online today and take your game to the next level!